Rebuilding Trust in the Aftermath of an Affair Is your spouse using Ashley Madison? Frequently clients contact us overwhelmed with their child custody or infidelity investigation and feel they have nowhere to turn. Oftentimes they have been trying to conduct an investigation on their own and have called us as a last resort. The private investigators at InfoPro Investigations have thousands of hours of investigative experience. We will be able to advise you on the next steps to take with your child custody or infidelity case to assist you in making the personal decisions necessary to move on with your life. 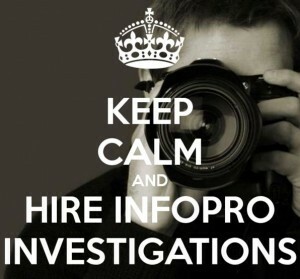 All communication with InfoPro Investigations is confidential regardless of whether or not you become our client. We will provide you with a free confidential consultation by calling (612) 302-8165. We will personally assist you and use our 20 years of investigative experience to help you find the truth.